After a break of close to a month the gates to the Murray Machining and Sheds Murray Bridge Speedway will open again this Saturday (February 2) night with the open wheeled classes featuring with the Des James V6 Sprint Memorial and Round 3 of the South Australian Wingless Sprint State Series. The night will also include several sedan categories with the thundering Late Models being joined by Street Stocks and Junior Sedans. 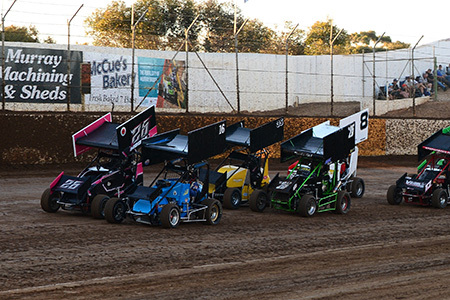 The Des James V6 Sprint Memorial will see 11 drivers suit up for action with newly crowned South Australian Champion Melissa Crouch joining previous State Champions Chris James and Nick Hall. Crouch will enter the event fresh from her State Title victory last weekend at the Renmark Speedway while Nick Hall was victorious in the last Blue-Ribbon event at Murray Bridge, the Zeke Agars Classic. Kym Simon, Damien Eve, Steve Agars and Michael Buxallen will also be serious podium contenders in what should be a hard-fought event all evening. 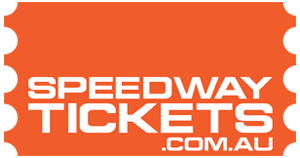 The Wingless Sprint field comprises of over 25 drivers including Australian Champion Joel Chadwick, who has won both previous two rounds of the series so far. Matthew Kennedy, Jake Ashworth, Michael Spoljaric, Robert Heard, Jack McCarthy and Jarman Dalitz will provide some great competition along with Brett Ireland, who recently represented Australia at the 2019 Chilli Bowl in Tulsa. A field of 10 Late Models will take to the 360-metre clay way with Ryan Alexander, who won his last start at Ballarat joined by the likes of Mat Crimmins, Steve Vaughan, Mark McCarthy, Andy Maxwell Jr, Jason Robinson and Queenslander Brett Watson. The Street Stock action should be intense with over 20 drivers set to contest the latest round of the Track Championship while Drew Flatman, Sharni Pitcher, Nate Trewin and Kirra-Lee Pitcher will be among the front runners in the Junior Sedans.